Book a free information appointment for TuteSmart 2019 here. Congratulations – you’ve almost finished school for the year! And when you do, you should take some time to wind down and chill. After all, next year will be your most important school year yet. A lot of students at the moment will be looking for tutoring for 2019. 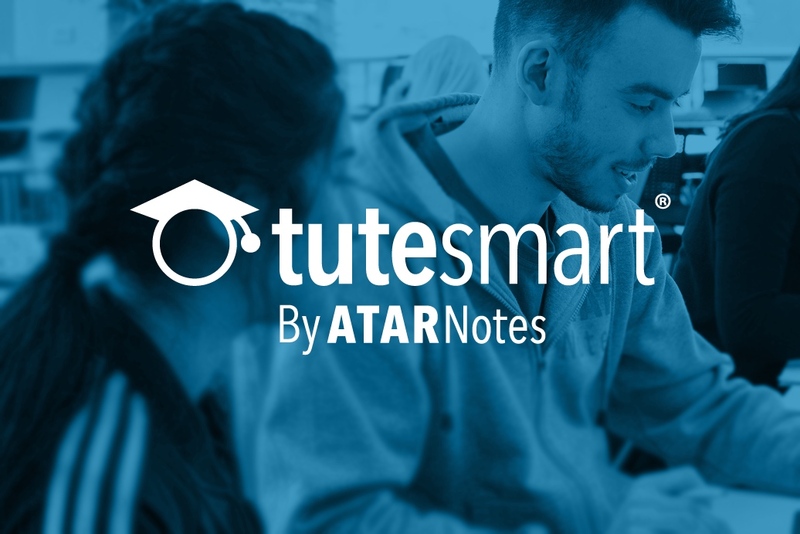 If that’s you, you should consider TuteSmart – by ATAR Notes. Basically, we had a big issue with private tutoring; often, you simply don’t get great value for money. So we asked ourselves what we could do better than private tutoring, and how we could give VCE students what they actually need to help them smash their SACs and exams. And that is how TuteSmart was born – every single element of the TuteSmart program has been created specifically to help you through your VCE life. Great question! The TuteSmart program was built from scratch to best allow high-achieving students to maximise their results. As such, the TuteSmart program provides you with the following – and this isn’t an exhaustive list! We have four amazing Centres: Camberwell, Melbourne City, Moonee Ponds and Mulgrave. You can use our Centres whenever you like after school and on weekends through open hours. We have designed our Centres to be as effective as possible for studying, but also super comfortable! Tutoring once per week is all well and good, but with TuteSmart, you can get help as required. Each Centre has a team of VCE tutors, who cover a broad range of subjects. You can get help from our tutors for any of the subjects we offer. You can even chat to them about uni or general study advice! These classes are designed to help you as much as possible in SACs and exams. They cover the full study design in detail. But what if you can’t make those classes in person on any given week? No stress – each and every class is recorded, and then uploaded online. That means you can watch and re-watch classes as many times as you like, whenever your like, wherever you like. Throughout the year, your tutors will upload additional resources for every single subject, including practice questions, sample responses, guides, summaries and worksheets. Whatever you want, you can specifically request. As you know, it’s all well and good knowing content. Being able to apply that content is another thing altogether. That’s why after each major topic, we run simulated practice SACs, and practice exams at the end of the year. Come exam time, you’ll know what to expect! Great – so what’s the catch? There simply is no catch. Private VCE tutoring can be expensive. Very expensive. We’ve been through VCE recently ourselves, so we know how absurd some of the costs can be. With TuteSmart, you pay a single price per week for your membership – and there are never any additional costs for any part of the program. The only issue here is that, as you can imagine, TuteSmart is a very popular program. In fact, our 2019 program is already 25% full due to early bird registrations – and the 2018 academic year hasn’t even finished yet! To find out more and enrol, all you need to do is make a free information appointment. At your appointment, we’ll give you all the information you need to make a truly informed decision. We’ll give you a tour of the Centre (you have to see it to believe it! ), discuss your VCE subjects and goals, and walk you through the tutorial class timetables, subject curriculums, and program pricing. To find out more information or to make an appointment, simply visit tutesmart.com/info, or call us on 9916 7760. We can’t wait to see you at TuteSmart in 2018!